After nationwide criticism, the brutal 39% rate hikes by Anthem Blue Cross have been rejected. Nearly a million California policy holders dodged a bullet. 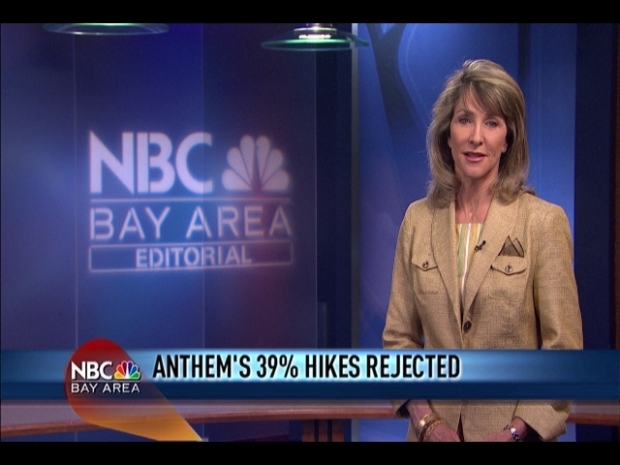 The State Department of Insurance found "substantial errors" in Anthem's numbers. But the reprieve for consumers is only temporary. Anthem will rework the data, and reapply. Anthem Blue Cross was denied at 39% rate hike, but Californians have only dodged this bullet temporarily. The fact is, California's one of 26 states with little power to stop double digit rate hikes by giant insurance companies. That's why we support Senator Feinstein's "Health Insurance Rate Authority Act of 2010." It gives Washington the clout to block unjustified premiums and protect consumers until new health insurance exchanges kick in. Two million Californians lost their health insurance coverage in the last two years. We have to act now.